Patty is using Smore newsletters to spread the word online. 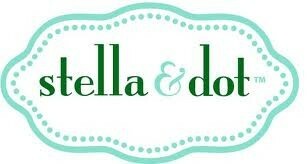 It's a Stella & Dot Show! Join Deanna for an afternoon of fun! Be one of the first to shop the new spring collection! Getting cabin fever? Let's escape Mother Nature for a fun afternoon with friends featuring Stella & Dot! This new collection is already being called Stella & Dot's best yet! Be among the first to shop this newest collection. Feel free to bring a friend. The more the merrier! Can't make it? Can't wait? Shop Deanna's show online now. This season's trends: vintage design, versatility, and pop of color! The color of the season! The citrine double clutch is already an editorial favorite! Necklace and bracelet can be worn with or without the tassel. Pendant can be removed from necklace, and earrings (not shown in picture) can be worn in three different lengths! Now that is versatility!